Welcome to Valiant Alucast Technology Private Limited, Manufacturer and Exporter of Aluminum High Pressure Die Casting Components. The company was incepted in 2011 at Hatkangale. We export to European and Asian countries. Ravi Enterprises and Pritam Enterprises are some of our elite clients and we are backed by Dimensional accuracy & high strength. We offer a wide array of Electrical Motor Parts and Automotive Transmission Covers. We offer Electrical Motor Parts and Automotive Transmission Covers that are widely acclaimed in the market. We offer Steering Wheels and Electrical Motor Body that are available at industry leading prices. Electrical Switchgear and Die Casting Industrial Parts offered by us are superior in performance. Along with that we offer Electrical Motor Parts and Steering Wheels for Automobile Industries that are a class apart. 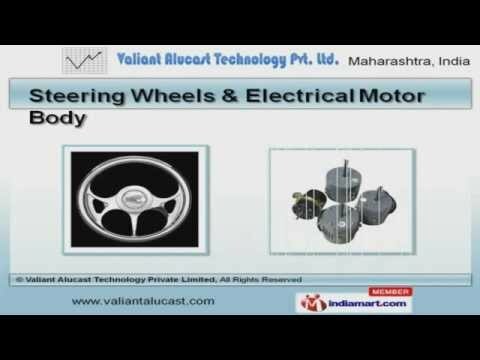 We also provide Crank Case and Electrical Motor Body for Electrical Industries that are one of the best in the market.